To learn more about Scoular, visit our company website: //www.scoular.com/. Located near Chicago's container ports, this facility leverages favorable export container freight with local Illinois, Indiana, and Michigan origination to supply world markets with corn, soybeans and wheat. The facility also serves as a hub for Scoular's Specialty Grains businesses. 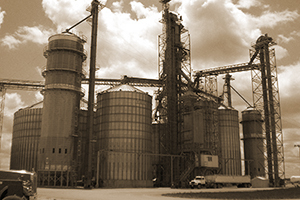 Located in western Iowa, the Scoular 13 facilities buys corn and soybeans from area producers. 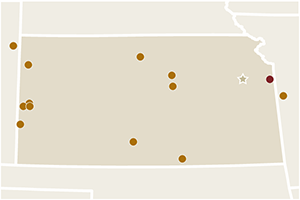 From 8 locations around Kansas, the Scoular facilities serve customers with corn, wheat, soybeans, milo, millet and sunflowers. Wet Distillers Grains are available from our Pratt facility. Our facilities in Windsor, Petersburg, and Hopewell buy grain from local producers and grain elevators and load it on containers for export. 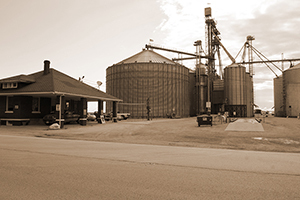 The Waverly, IL shuttle facility and its 2 satellite facilities are equipped to handle corn, beans, and soft wheat from the surrounding area between Decatur, St. Louis, Peoria, and the Illinois River.